25 Commercial Real Estate and Properties in Hunter Valley are listed in 8 categories. We have 35 Development Lands for Sale , 26 Industrial Warehouses for Sale , 12 Retail Shops for Sale , 6 Offices for Sale , 4 Medical and Consulting Properties for Sale and 4 Other Commercial Properties for Sale . Australia Football League current tenant for over ten years. Lease expires June 2019. Invest in the NSW Eastern seaboard hotspot. Jewel in the crown. Road front unit position. Upmarket office, reception and showroom fit out. High internal clearance, high roller door. Extensive glass commercial style shop front. Air conditioning. 3 allocated car spaces. 2 W/C 1 S/R Area approx. 350m² including mezzanine level. Agents comment: Service Central Coast, Newcastle, Hunter. Live on the lake or in the mountains Disclaimer: Every precaution has been taken to establish accuracy of the above information but does not constitute any representation by the owner or agent. Information is gathered from sources we believe to be reliable; we cannot guarantee its accuracy and interested persons should rely on their own enquiries. Positioned at the front of 3 strata units, with massive exposure and plenty of passing traffic this unit is not to be missed. Property Features • Showroom / Warehouse / Offices all in one • Freshly painted interior and exterior • Air conditioned offices • Secure site fully fenced and gated • Glass frontage to showroom • 3 phase power • Concrete tilt panel construction • B5 Business Development Areas Showroom 60m2 Offices 50m2 Warehouse 108m2 Contact our team today to find out more. 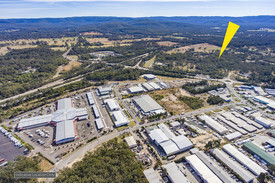 Priced from only $215,000 + GST Sizes from: 70m² 500m² The Morisset Business Park one of the fastest and most rapidly emerging industrial centres able to service Sydney, Central Coast, Newcastle and the Hunter Valley and the demanding local residential growth moments to the M1 Motorway. Prime exposure to busy Wyee Road with easterly views over Morisset Country Club Construction commencing October 2018 with completion due June 2019 Conveniently located less than 2km to the M1 Motorway on/off ramp High internal clearance ranging 6.5 7.5 metres Combine several smaller units to create a larger space Register your interest now! Disclaimer: Every precaution has been taken to establish accuracy of the above information but does not constitute any representation by the owner or agent. Information is gathered from sources we believe to be reliable; we cannot guarantee its accuracy and interested persons should rely on their own enquiries. ACT NOW for Limited Discounted Pre Completion Prices! This unique facility is an excellent opportunity for investors, trade specific businesses and those looking for storage space. Developed and built by trusted local company GWH who have been building industrial, commercial and residential buildings in the region for over 23 years. Located in a fast emerging industrial centre where Sydney, Central Coast, Newcastle and the Hunter Valley are easily accessed. Units starting from 65m2 up to your specific size requirements, units can be combined to suit your needs. Optional upgrade packages available! Key highlights include: Highest standard ultra modern construction The best B7 business park zoning Extremely easy access to M1 motorway Large, easy access roller doors and glass shopfront entry door to each unit Extra Wide driveway for easy access Abundance of on site car parking. Contact Agent Today for a copy of the information memorandum. Disclaimer: Every precaution has been taken to establish accuracy of the above information but does not constitute any representation by the owner or agent. Information is gathered from sources we believe to be reliable; we cannot guarantee its accuracy and interested persons should rely on their own enquiries. 4 Hectares Zoned B7 Business Park 7 Hectares Zoned E2 Adjoins recently DA approved retail bulky goods F3 Centre Railway station, town centre, Lake Macquarie lifestyle minutes away 'Blue Chip' tenant in brick residence for holding over income Easy expressway interchange access Building area displayed is an estimate only.. Disclaimer: Every precaution has been taken to establish accuracy of the above information but does not constitute any representation by the owner or agent. Information is gathered from sources we believe to be reliable; we cannot guarantee its accuracy and interested persons should rely on their own enquiries. 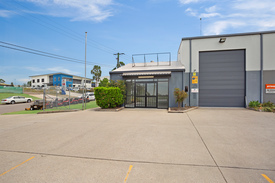 3/31 Alliance Avenue, Morisset is located in the heart of the well established Morisset industrial precinct. 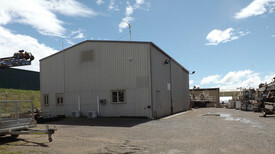 This unit is in a fantastic position of this complex with good exposure to passing traffic. 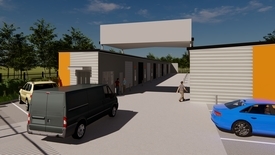 This is a high clearance industrial warehouse with commercial style shopfront entry, large high and wide roller door, kitchenette, and toilet. Some property features include: 200sqm (approx.) of clear span warehouse or showroom area. High and wide roller door. 1 of 5 within a Strata Complex. Current Tenant on month to month lease. Located near major arterial road being the M1 Motorway. Zoned B7 Business Park Zone. Parking onsite. Minutes to Morisset town centre with major supermarkets, modern cafes, Post Office & Bank. A great opportunity for a large variety of businesses to occupy or an investor. Located within close proximity of Upper Hunter Coal Mines. Approx. 4756 Sq. M Fencing on 3 boundaries.